I want to follow up and provide a bit more details to the excellent “A Visual of Current Major Market Clusters” post by David Varadi. 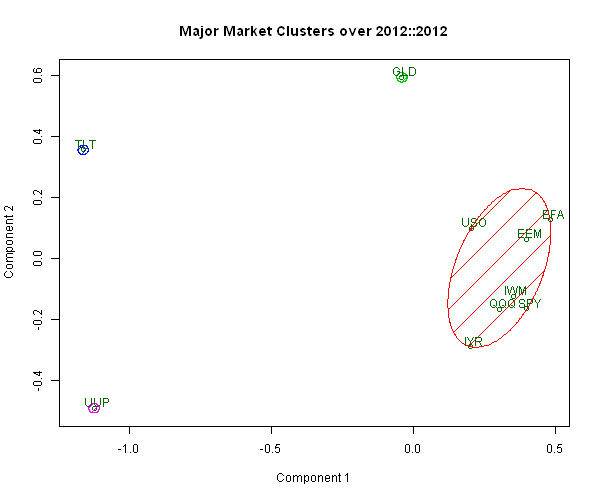 In the next post I will provide some ideas how to select number of clusters. To view the complete source code for this example, please have a look at the bt.cluster.visual.test() function in bt.test.r at github.